Cigarette provider LeCig today announced the launch of a new electronic cigarette blog, http://www.Lecigs.com. 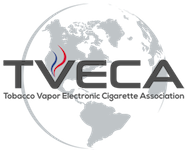 "With so much going on in the electronic cigarette industry we felt it was important to put together a repository of information for consumers and industry insiders alike," stated Mike Elias, CEO. "We'll be adding new features and e cigarette information sources in the coming months to enhance the platform." Electronic cigarettes, also known as e cigarettes, personal vaporizer (PV), and vapor cigarettes, is a electronic inhaler that vaporizes a liquid solution into, simulating the act of tobacco smoking without the over 4,000 toxic chemicals are contained in processed tobacco. The electronic cigarette industry is expected to grow to over $1 Billion in 2013 as millions of tobacco smokers make the switch to electronic cigarettes. "There are approximately 1,000,000 e cigarette users in the United States, and that number is growing," stated Elias. "Federal, State and Local legislation and ordinances are coming into play on a regular basis and e cig users and e cigarette brands need to be aware of what's happening in the industry, thus our electronic cigarette blog."